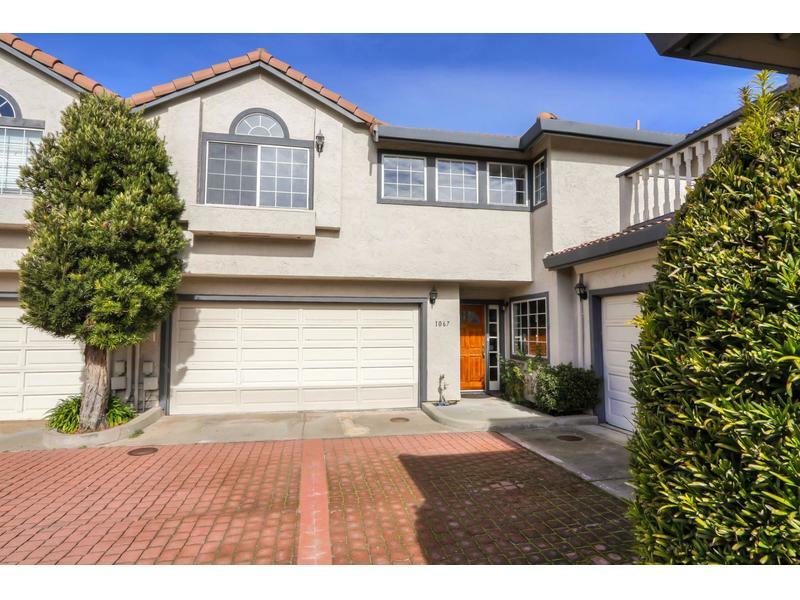 welcome home to 1067 almaden village lane! this beautifully updated townhome boasts 3 spacious bedrooms and 2.5 bathrooms! all bathrooms feature marble countertops, new | modern square sinks, and new hardware. double sinks in both upstairs bathrooms. dual pane windows, recessed lights, and new gemcore luxury vinyl plank waterproof flooring throughout. new carpeting on the the stairwell. central air conditioning. new, modern light fixtures. formal dining area and breakfast nook! newly remodeled kitchen with raised ceiling and stainless steel appliances. new refrigerator and dishwasher. granite countertops and single basin stainless steel sink. fireplace in living room. cathedral style ceiling and walk-in closet in master bedroom. two, large balconies. large back patio with expansive gazebo. orange tree, apricot tree, camellias, and roses. oversized two car garage with built-in storage. community includes pool and spa. hoa dues include garbage.